"Hello Neighbor - Breath Activated Air Freshener eliminates unwanted odors by breath activated odor neutralizer - Easy to use, just remove the cap and blow through to activate air freshner and get rid of unwanted odors. 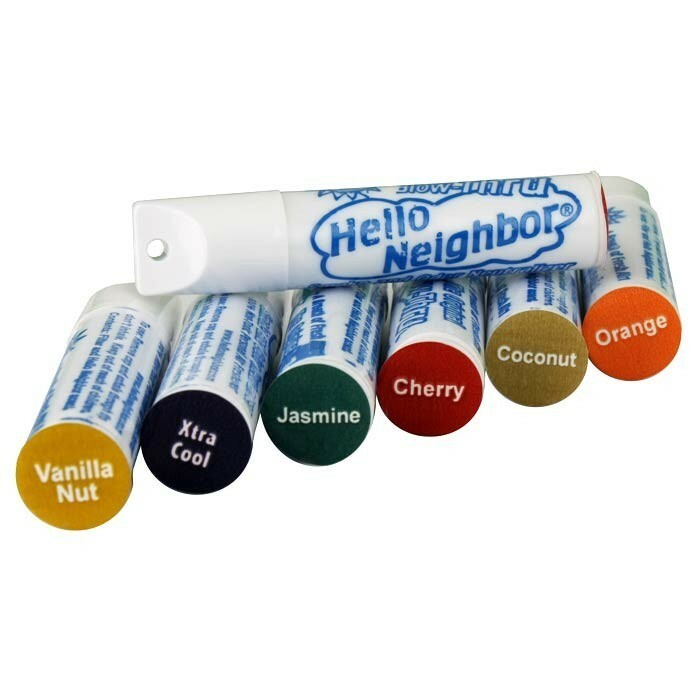 Hello Neighbor fits easily in a pocket or purse and resembles lip balm for discrete use. Comes with a laynard for easy transportation. Available in 6 Fresh Scents: Cherry, Coconut, Jasmine, Orange, Vanilla and Xtra Cool"